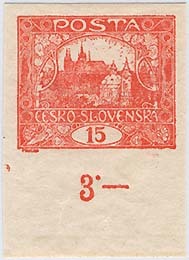 Hradčany 15 h value - Pofis 7. 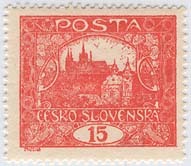 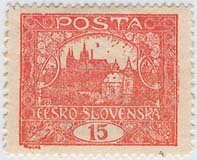 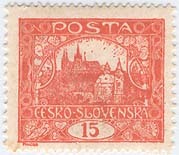 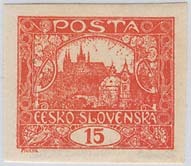 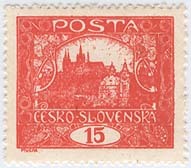 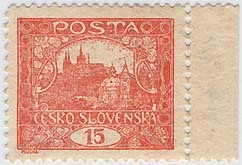 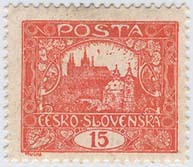 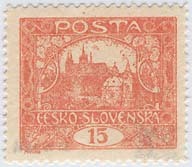 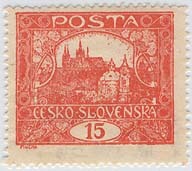 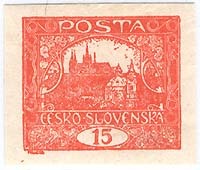 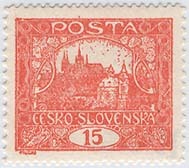 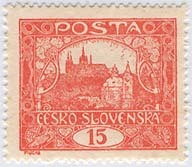 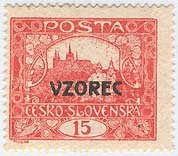 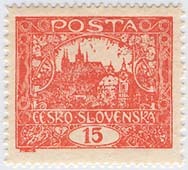 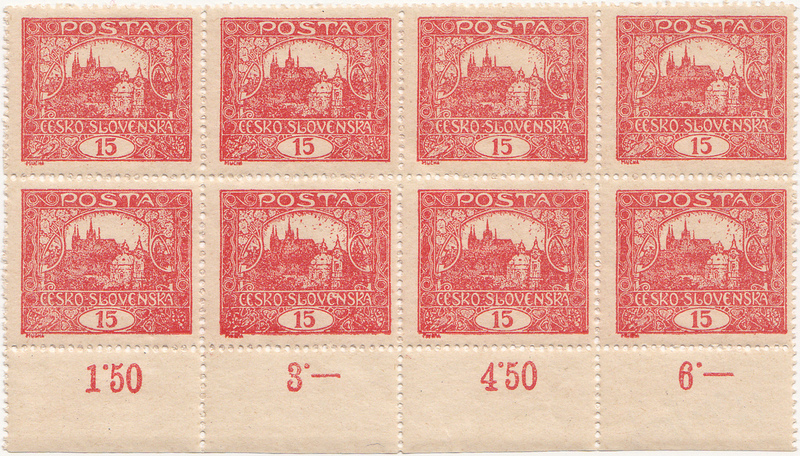 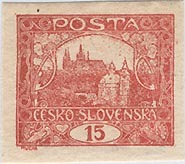 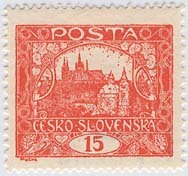 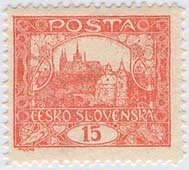 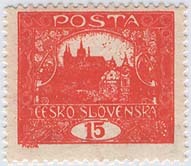 Hradčany 15 haléřů - Pofis 7. 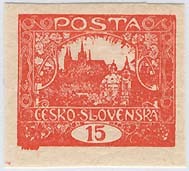 The fifth design, drawing e, Alfons Mucha, Letterpress. 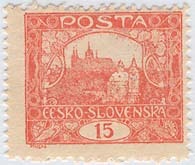 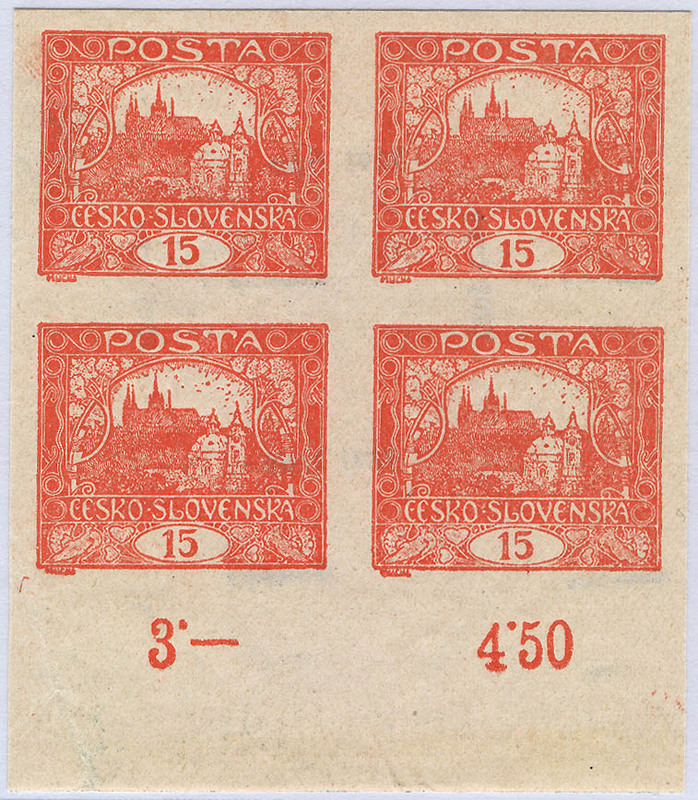 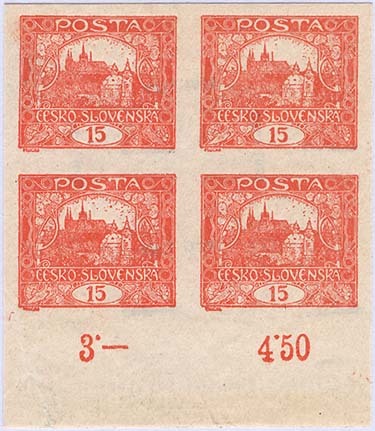 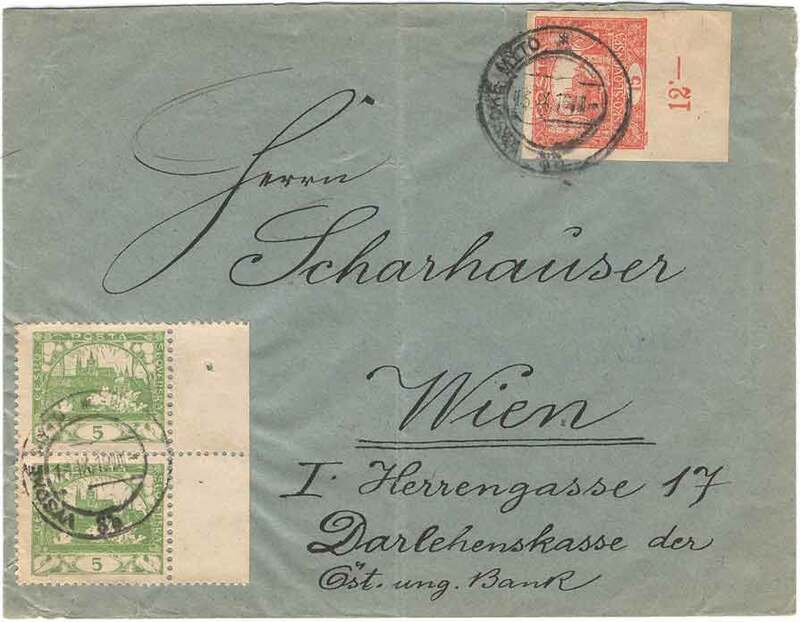 Issued 7/6-1919. 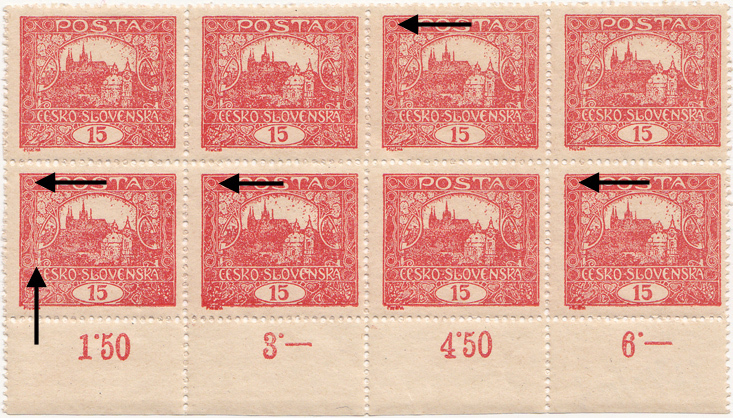 Plate position: 82 / Type II s, 83 / Type I s, 92 / Type I s, 93 / Type II s.